I know I have been a critic somewhat of the new styles, so I wanted to see the watches myself up close. Unfortunately they did not have all of the new models (very few of the new ladies watches, no men's perpetual) but they did have some nice Rieussec, some VERY high end Villeret and some other models. 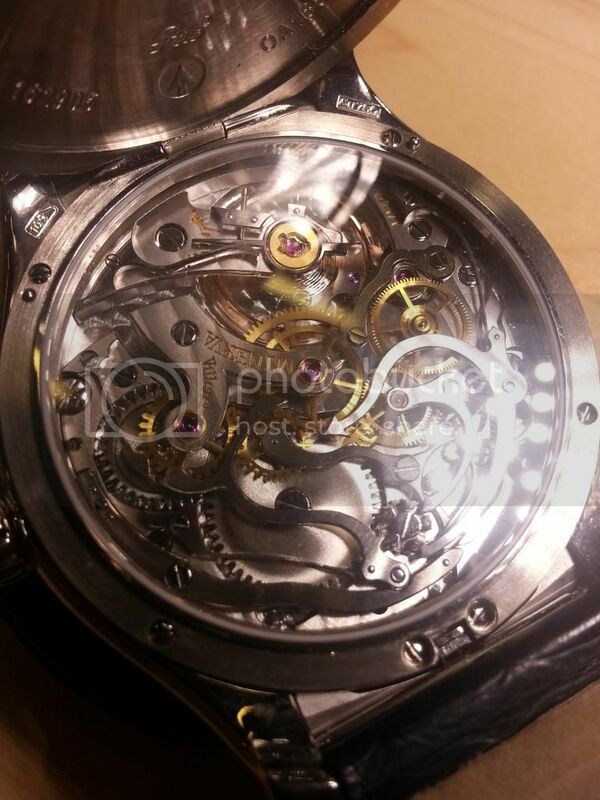 The Rieussec to me is a very interesting and cool watch and a good value. The Meisterstuck line is very nice and affordable, I tried on a few and they seem very solid. All of the models they had looked very well made to me. I still lament the design elements taken from JLC, but I understand it. 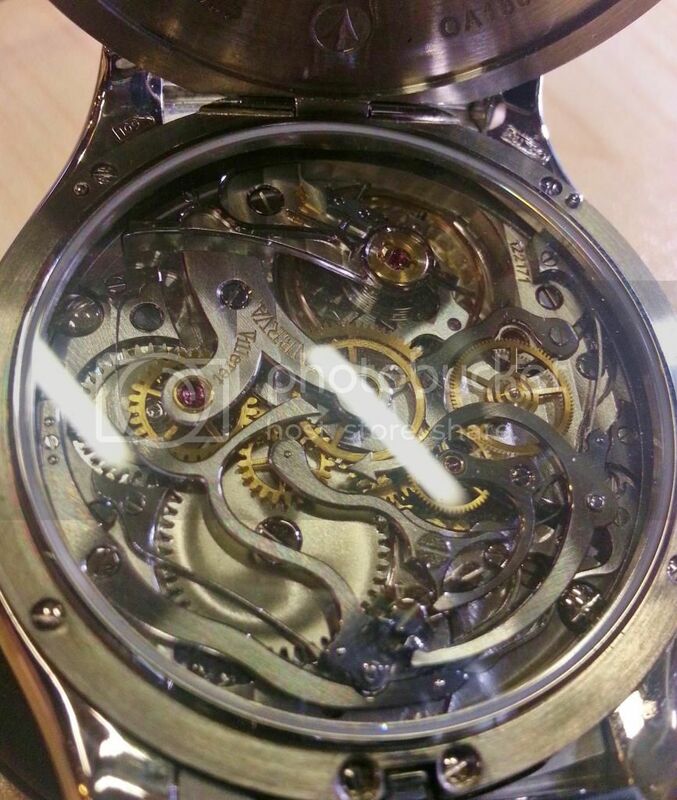 They had a watchmaker there and below are shots of one of the Villeret line he had open on his table. Very impressive movements! I hope to see the new ladies line in person at some point.